Looking at how the Resident Evil franchise has shifted over the last twenty years, it’s actually a little surprising Capcom is going back to their horror roots with Resident Evil 7. 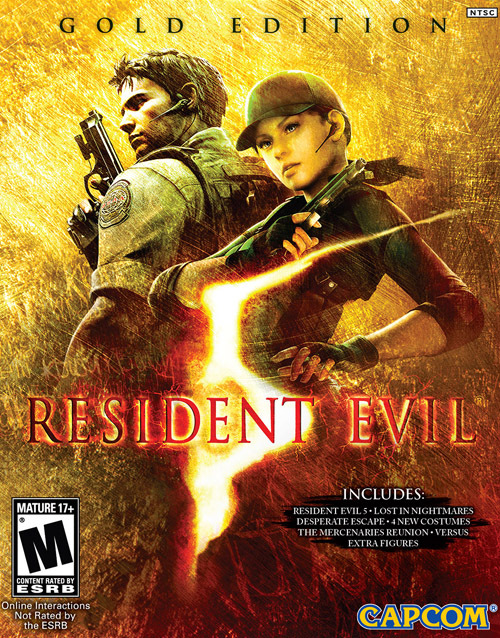 Many contribute the “downfall” or actionification of their most popular franchise to Resident Evil 4, but to this day, Resident Evil 5 remains Capcom’s most sold game in their entire library, selling over seven million units worldwide. 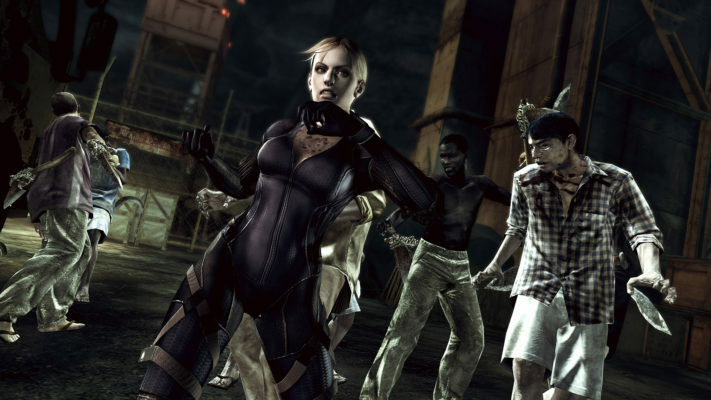 Despite its negative reception, Resident Evil 6 has taken the second spot with 6.5 million copies sold. 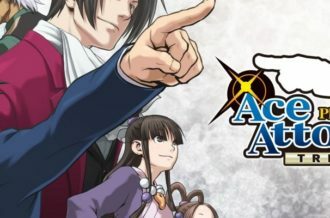 It’s hard to deny these numbers; as much as we all love the horror classics, the high octane, over-the-top action seems to be working for the Japanese publisher. Capitalizing on its popularity, Capcom has ported, but not necessarily remastered, Resident Evil 5 to current generation platforms, hopefully grabbing new players and bringing back old fans as well. Considering it has been over seven years since it initially debuted, has Resident Evil 5 aged well, or has it become an outdated third-person shooter? 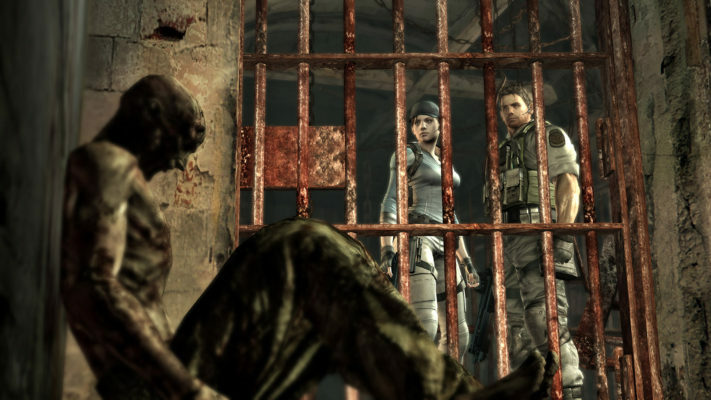 The story takes place years after Leon S. Kennedy’s adventures in Spain where Chris Redfield is sent to Africa to meet Resident Evil newcomer, Sheva Alomar. Their goal is track down a BOW and its seller, but unfortunately for them, it looks like the virus has already begun spreading amongst the people of Kijuju. The story itself isn’t going to win any awards. Everyone’s favorite Albert Wesker is the main antagonist, but the vast majority of the cast feels underdeveloped and uninteresting. This might have something to do with the throwaway script as you can tell the focus was on bringing players an action packed thrill ride full of nonsensical physicals rather than an emotionally charged adventure, which is attempted but falls flat. The bosses themselves start off decently designed, but for the most part aren’t anything remarkable. For example, the series is well known for bringing in infected animals, so the morphed colossal bat in the second chapter can be fun to fight, whereas a turret sequence versus Ndesu, a giant similar to El Gigante in Resident Evil 4, is a boring mess. For a series well known for their tense and well-designed boss encounters, Resident Evil 5 fails to grab you on almost all accounts. Unfortunately, Resident Evil 5 hasn’t held up as well as it should have in the gameplay department. Despite the dramatic shift from the Resident Evil formula, this is a game that I personally have incredibly fond memories of, but most of it seems to be lost in far superior experiences that are currently available on the market. It has nothing to do with the inability to move and shoot, which was and still is a bit of a disappointment, but rather the scenario setup and progression feels formulaic throughout. It’s still a survival game as you’ll constantly be starving for ammunition, but it’s action scene after action scene after action scene, usually just trapping you in a close quarters environment. The first third of the campaign is a slog to get through with the final third being downright embarrassing. The core center of the experience holds up far better than the rest. The swamps and the underground ancient ruins open things up for more flexibility in combat and exploration, not to mention puzzle solving. It’s too bad the rest of the campaign couldn’t be as well design as these two chapters are. This is also a cooperative game, so a friend or random stranger can join your adventures at the beginning of a checkpoint – just hope they don’t steal all the items. If you’re without online or don’t have someone for couch coop, the artificial intelligence is done relatively well. 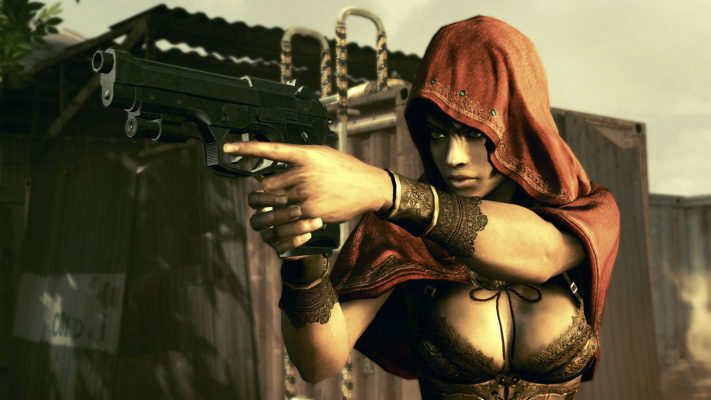 Rarely does Sheva get herself into danger or put herself into unfortunate situations, even though she will sometimes get in the way of things. 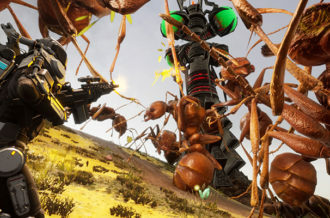 The AI will also identify who is holding which weapons and will allocate ammunition accordingly. This package also comes with the downloadable content and multiplayer modes that were sold post-release when Resident Evil 5 originally came out. You will need to progress further into the story for some of the content to be accessible, for example Lost Nightmare is available after Chris explains his past in Chapter 3, and Desperate Escape in the tail end of the campaign. These downloadable sections are separated from the main campaign, focusing on Jill Valentine’s contributions to the story more than anything else, and only last about an hour a piece. They’re not anything special, but do expand the story ever so slightly to give better context to what is going on in the background. Graphically, Resident Evil 5 for PlayStation 4 and Xbox One doesn’t do a whole lot to enhance the player’s visual experience, at least in comparison to the PC release. 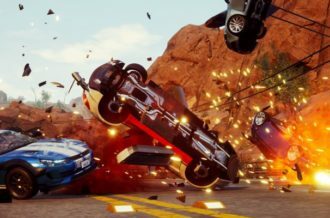 Compared to the Xbox 360 and PlayStation 3 versions, the 2016 re-release has two advantages: resolution and frame rate. Resident Evil 5 is now rendered natively in 1080p with a much higher frame rate. Oddly enough, despite being seven years old, the PS4 and Xbox One ports aren’t constantly running at 60fps. There will be scenes where you can definitely tell Resident Evil 5 hits the ceiling, but most of the time it fluctuates below. Granted, it’s still well above the 30fps the last generation versions ran at, but it’s strange Capcom was unable to achieve a constant frame rate when ancient PC hardware is easily capable of doing so. 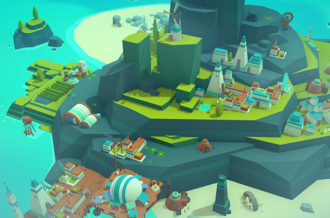 Looking outside of the graphical comparison, the overall visuals hold up relatively well, at least from a technical perspective. The biggest problem lies within the artistic design as it features a last-generation color palette where there’s little color and lots of saturation. Granted, this can be contributed to the setting of Africa, but even the swamp and laboratory locations are way too dingy and fail to pop out of the screen in comparison to the recently released Resident Evil Revelations 2. This is one of the biggest issues with how Resident Evil 5 feels dated where it may feature highly modeled characters, but the environments are far too bland to traverse. This was also during a time where facial animation was becoming incredibly detailed, and because of this, most of the scenes have an over emphasis on the animation and standout drastically. Even at the budgeted price point, Resident Evil 5’s reemergence feels a bit disappointing. 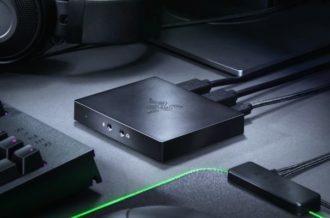 The fact that Capcom was unable to obtain a steady 1080p 60fps on current generation consoles is astounding considering five-to-seven year old PC hardware is capable of running it significantly better. That’s not the worst part, though: Resident Evil 5 has not aged well. From the visual aesthetics to the core scenario layout, Capcom’s 2009 hit feels incredibly dated in the action game genre. It’s not just about being stationary when aiming your weapon; it’s the dull environmental design and uninspired structure that plagues two-thirds of the game that’s the problem. It’s all about nostalgia with Resident Evil 5 as it was fantastic seven years ago, but not as entertaining today.